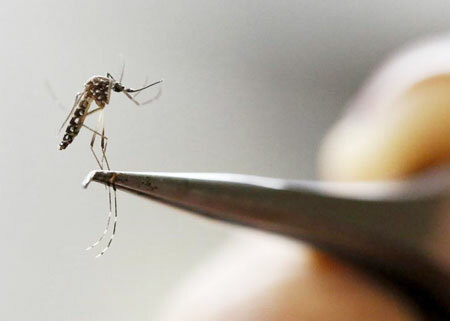 In a move to prevent transmission of the Zika virus through blood supply, the United States Food and Drug Administration has recommended that all blood donated in the country and its territories be tested for the virus. The decision to expand blood screening in the US was based on concerns about more cases of local transmission in Florida, the growing number of travel-related infections and concerns that Zika-tainted blood could unwittingly be given to a pregnant woman, putting her unborn baby at a risk of severe birth defects, an official release said on Saturday. The Food and Drug Administration says all those areas are currently in compliance with blood screening, but that expanded testing is now needed. "As new scientific and epidemiological information regarding Zika virus has become available, it's clear that additional precautionary measures are necessary," FDA's acting chief scientist, Luciana Borio said. The expansion of testing won't happen all at once. The FDA is advising blood establishments in 11 states to begin the testing within the next four weeks. The states include Alabama, Arizona, California, Georgia, Hawaii, Louisiana, Mississippi, New Mexico, New York, South Carolina and Texas. These states are in proximity to areas where Zika is actively spreading via mosquitoes or where there are a significant number of cases related to other exposures, including sexual transmission, the release said. Within 12 weeks, blood facilities in all states should be testing donations for Zika. "The transfusion of a pregnant woman with blood infected with the Zika virus could have terrible consequences," Peter Marks, Director of FDA Centre for Biologics Evaluation and Research said. The current Zika outbreak was first detected in Brazil last year and has since spread across the Americas. In Brazil, Zika has been linked to more than 1,800 cases of microcephaly and US officials expect as many as 270 cases in Puerto Rico, where local transmission of the virus is widespread. "Over 8,000 travel-associated and over 2,000 non-travel associated cases of Zika have been reported in the United States and US territories," Marks said. Given the frequency of travel of individuals within the United States, he said there was a risk that people without symptoms of Zika could donate blood and transmit the virus.